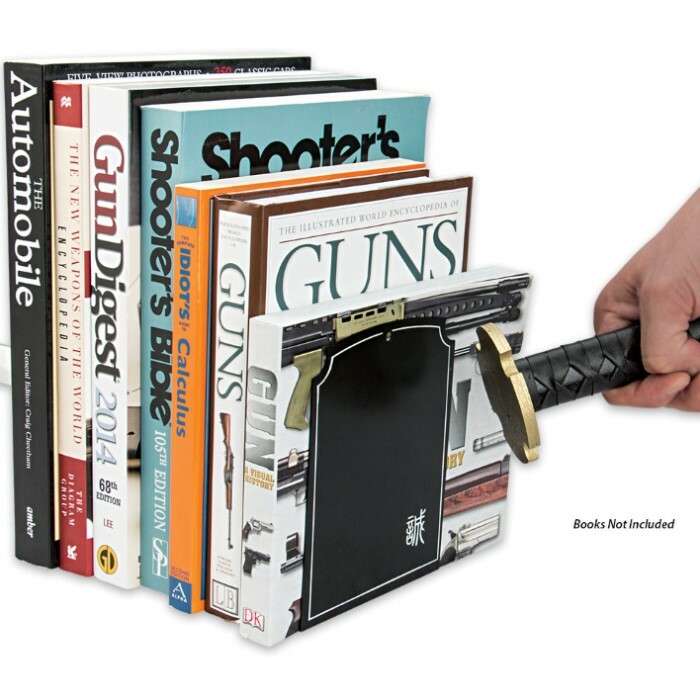 Handle: 5 1/2"; Blade: 6 1/4"
Add a little something cool to your home décor with the Samurai Sword Bookshelf. 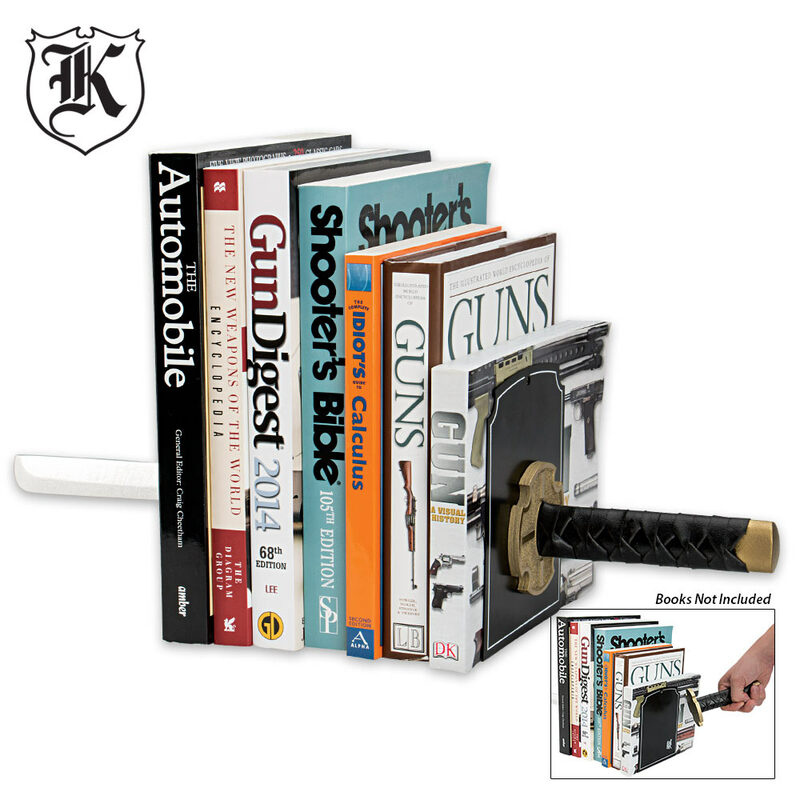 The shelf is constructed of heavy-duty iron and the sword handle and blade is made of wood. 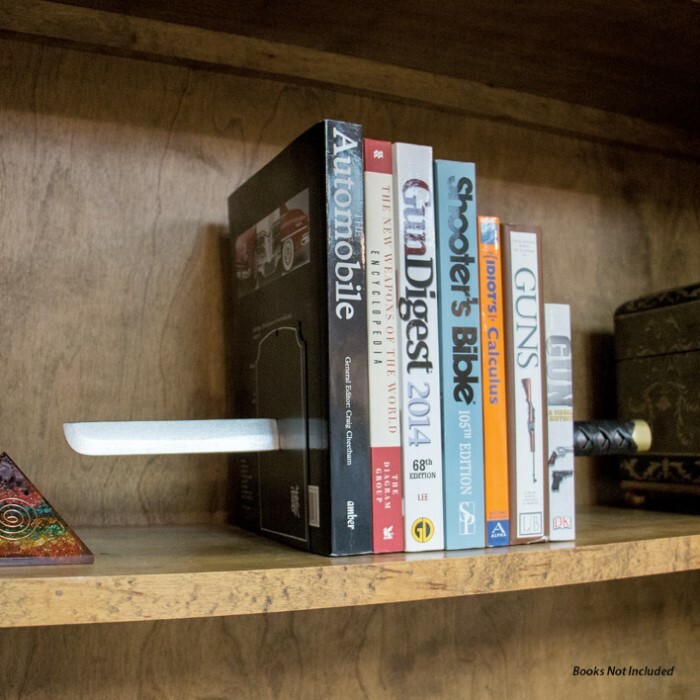 The blade is 6 1/4" and the Samurai-style handle is 5 1/2". This is the perfect gift for a sword collector.